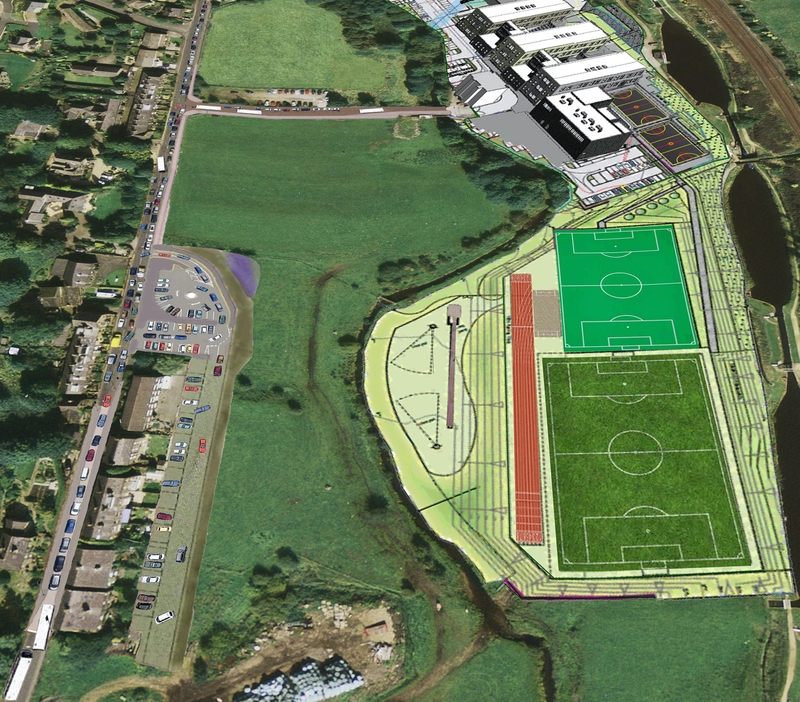 Don't forget to add in the bus turnaround and the MUGAs to the left of the buildings and the flood-lit sports pitches with fencing to the right. 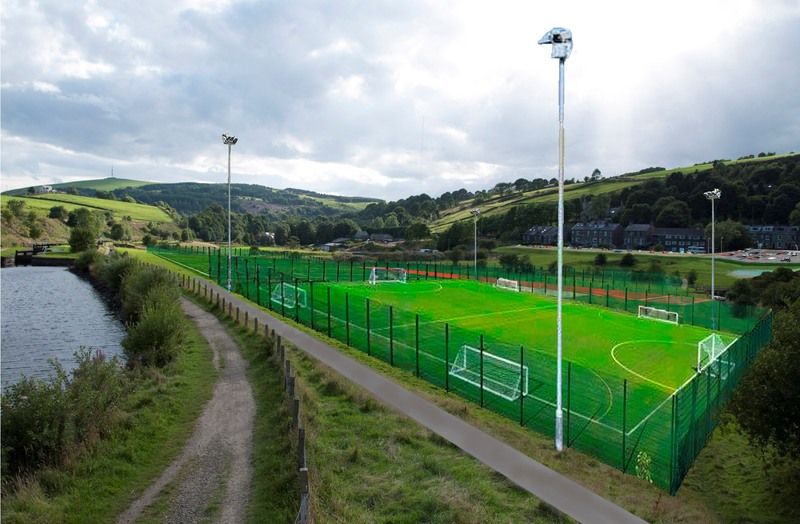 Together with security lighting throughout the night to light up the valley. 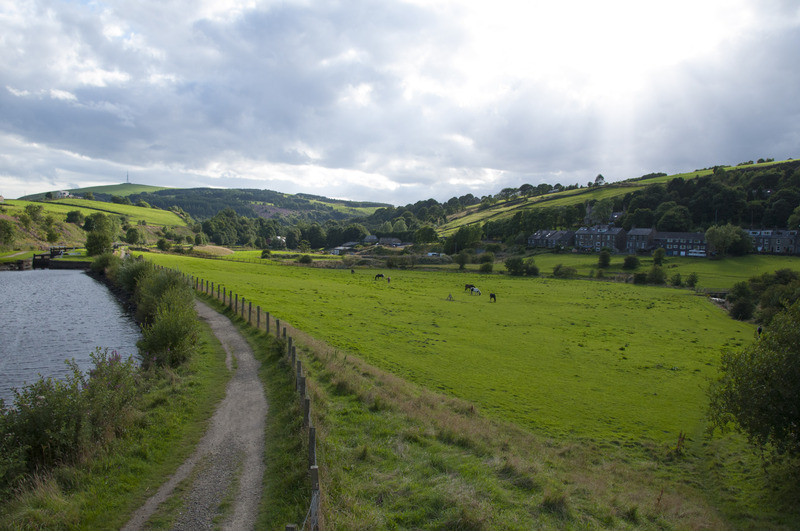 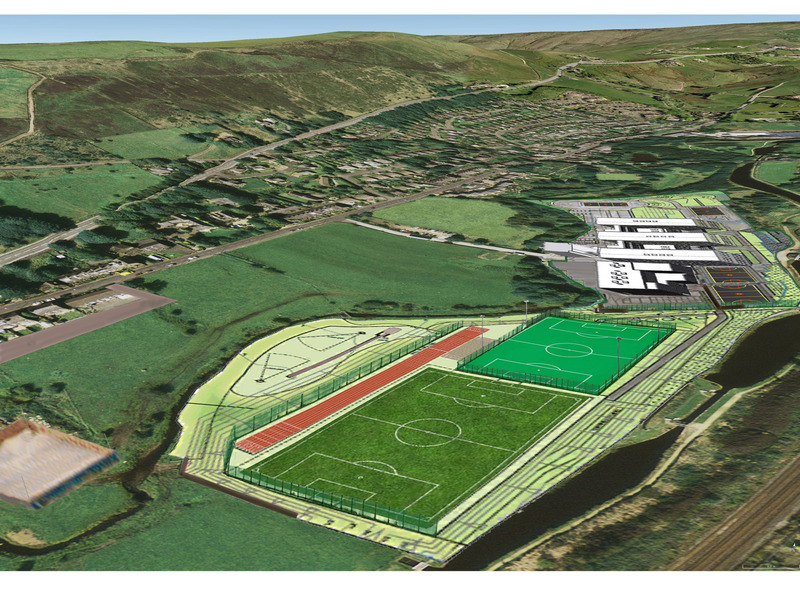 and will have a detrimental impact on the character of the surrounding landscape and the Huddersfield Narrow Canal.